A recent study by World Bank indicates crowdfunding for startup businesses will cross the US$ 93 billion mark by 2025. The crowdfunding industry by mid-2017 stood at about US$ 40 billion in 2016. Indeed, crowdfunding industry is so vast that it has almost surpassed venture capital (VC) or angel investors by a whopping 34 percent, industry experts estimates. Today, crowdfunding is the preferred mode of raising money for any start-up. Simply put, crowdfunding is collecting money from the public and using it for your startup venture. Of course, it is not as easy. It is a rather intricate process that requires tremendous efforts. Crowdfunding is a way to make your money work. People generally contribute money to a crowdfunding platform. In exchange, they are assured of returns. Profits of the startup in which the crowdfunding platform invests money is divided and paid to these contributors. Usually, anyone will find it extremely difficult to raise a few hundred thousand dollars through family and friends. Especially, people are reluctant to give their money for some venture that has yet to take off. Additionally, they also want assured returns on their investments. This is where crowdfunding websites come in. They will study your startup venture, determine it is feasible and merits funding. They are very specific about every detail about the business since they are answerable to the public. The authoritative Massolution Crowdfunding Industry Report released recently also speaks about the various hurdles faced by startups in getting money in this method. Hence, there are specialized companies which raise funds from public for investing in your startup venture. Asian crowdfunding sector raised $3.4 billion (320 percent growth in volume), which was higher than Europe’s at $3.26 billion. Asia is the second-largest region by crowdfunding volume. North America remained at the top, growing by 145 percent to raise a total of $9.46 billion, during 2016, according to this report. Figures in the report point to very strong growth in crowdfunding in recent years. The emergence of Asia as a major hub for businesses, especially startups, is the main reason. The Massolution report is based on data gathered on some 1,250 active crowdfunding platforms (CFPs) around the globe. It also includes reliable data submitted to the Crowdfunding Industry Survey by 463 CFPs. The World Bank predicts that the crowdfunding market can collect between $90 and $96 billion-about 1.8 times the size of the global venture capital industry as of 2016. Crowdfunding sites charge various fees on the amount of money they collect from people for investing in your business. These charges can vary between 2 and 10 percent of the total amount of funds collected from public. As we have observed, you will face a Herculean task in trying to collect hundreds of thousands of dollars for your business. 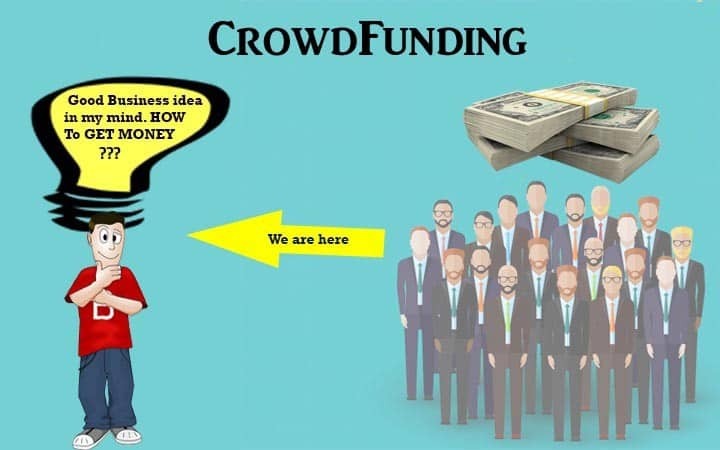 Therefore, for a large capital for your business, you need to approach a crowdfunder or crowdfunding sites. Here we list the top 10 crowdfunding platforms of the world. Note: Please ensure the crowdfunding platform you approach as impeccable reputation. Associating with the wrong platform can spell doom for your business. Kickstarter describes itself as : … “ an enormous global community built around creativity and creative projects. Over 10 million people, from every continent on earth, have backed a Kickstarter project. Kickstarter claims that some of its projects involve globally renowned artists including De La Soul or Marina Abramović. You can check more successful crowdfunding campaigns here. Republic was founded by members of the now defunct AngelList crowdfunding platform. Republic strives to collect angel investors from around the world. It collects funds as low as US$ 10 from prospective investors. Every contribution is collected to form a large fund. 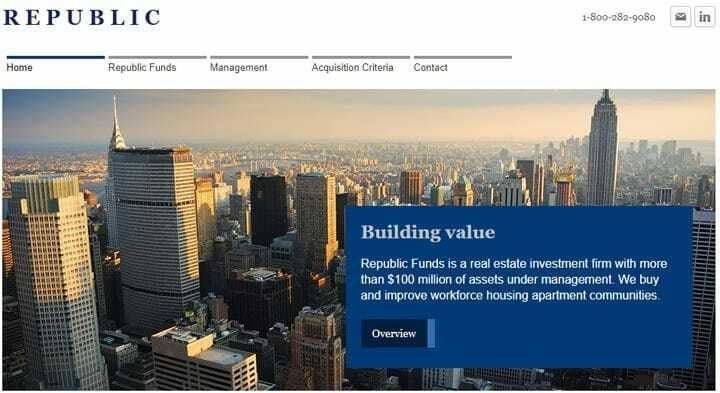 The Republic fund later crowdfunds startup ventures. The same alumni also runs Angel, a website where people can find jobs in startup businesses. Crowdfunder and its VC Index Fund provide the opportunity for direct online investment into single ventures, as well as diversification into a broad VC-led portfolio of early-stage startups – backed by many of the world’s leading Venture Capital firms and private investors, the organization’s website states. Wefunder, a major crowdfunding site based in the US was opened with “an aim to revitalize capitalism and keep the American dream alive”. According to this company, the Gross Domestic Product of USA is slowing down, causing inequalities in wealth distribution among the American people. “ Entrepreneurship is dying across America- falling from 10.6 percent to 3.6 percent among those under 30 since 1989,” Wefunder’s website warns. Wefunder plans to reverse the trend of wealth inequality in US by funding larger number of startups that genuinely merit investments. “Our goal is to build a new type of stock market (“a NASDAQ for riskier ventures”) that lets markets allocate capital to a wide range of businesses, more efficiently than banks or VC's,” the company states. If you are looking for crowdfunding, this can be a great website for you. Indiegogo allows to campaign for raising funds for practically anything. Past campaigns for funds have seen money pour into movies, ethnic eateries. The most unique project which was handled by Indiegogo includes a woman's fundraising campaign to pay for in-vitro fertilization to partial funding for the movie Bully, which was later picked up by the Weinstein Company. India’s Impact Guru is a tech for good venture that offers a complete crowdfunding solution that combines donation crowdfunding, rewards crowdfunding, and investment crowdfunding / fundraising for individuals, nonprofits, social enterprises, or startups for all their fundraising needs – be it small or large. The company was incubated at Harvard Innovation Lab’s Venture Initiation Program in USA in 2014. Impact Guru has offices in Mumbai, New Delhi, Singapore, Hong Kong, Jakarta, Kuala Lumpur, and San Francisco, states the company’s website. Angel Investment Network has over 150,000 registered investors worldwide, claims their website. AIN’s investments worldwide by the end of 2016 stood around US$ 350 million. The company has made huge investments for venture capitalists and small investors in various projects ranging from aerospace and defense to apps and jewelry ventures. Based in the UK, Angel Investment Network can be approached by anyone, regardless of how small or large the venture they wish to open. OurCrowd is one of the most innovative crowdfunding websites in the world. According to unconfirmed reports, OurCrowd is also helping Israel develop its various major industries by supporting related startups in defense and water resources sectors. Of course, OurCrowd has a global presence covering Americas, Asia, Europe and Africa. According to this organization’s website, OurCrowd provides post-investment support to its portfolio companies, assigns industry experts as mentors. The OurCrowd community of almost 20,000 investors from over 112 countries has invested over US$ 500 million into 150 portfolio companies and funds. This British crowdfunding platform features who’s-who of various industries and government. Seedrs allow various types of investors to identify and invest in businesses of their choice. Seedrs believes in letting investors enjoy their investment through some level of participation in the business. “We let all types of growth-focused businesses raise capital and business community in the process. We do all of this through a simple, highly professional, online process that protects and empowers investors while helping businesses grow and generate returns. 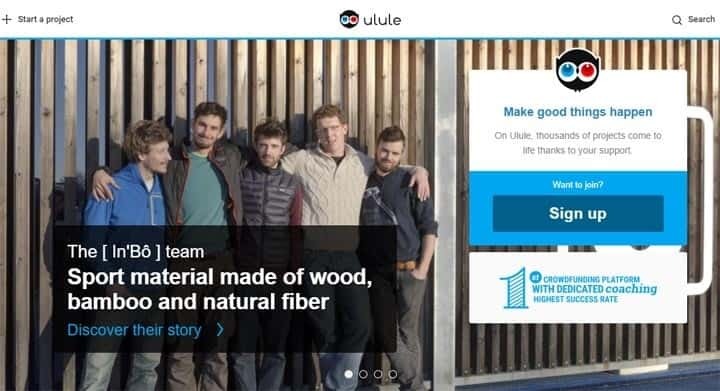 We are equity crowdfunding done properly,” says their website. 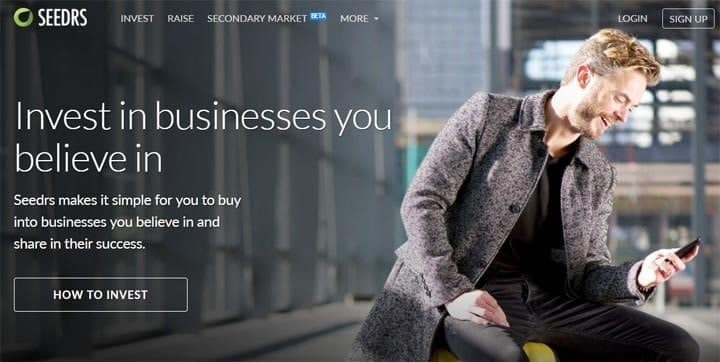 A leading UK-based crowdfunding site, SyndicateRoom helps connect investors with the country’s most promising ventures and innovators. SyndicateRoom was launched in 2013 and since, has rapidly grown with a portfolio of over 100 high-growth. 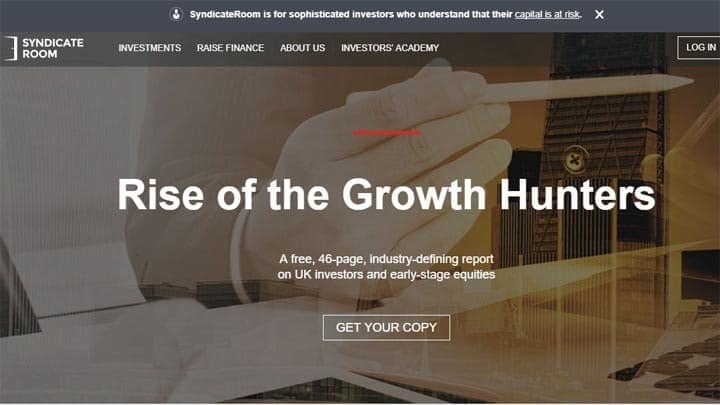 “By relentlessly focusing on the interests of private investors, SyndicateRoom has developed a trusted reputation and has been recognized as Best Investment Platform at the Growth Investor Awards two years running,” says the company website.. There are two types of investing available to investors on the Symbid platform, says the website of this organization based in the Netherlands. “An investor may provide business financing through either a convertible loan or an equity investment. Symbid makes an effort for a transparent crowdfunding market”. Symbid, it adds, has uniform agreements with branchevereniging Nederland Crowdfunding to provide an transparent insight into the successfully closed financings through our platform. This France-based crowdfunding website specializes in cinema and entertainment products. While it operates primarily in Francophone countries, it has spread its operations to other parts of the world as well. Ulule also hosts a festival for short feature films. Several crowdfunding websites have merged or have gone defunct for various reasons. Please check whether the platform is active and verify its credentials before submitting your project and venture reports as well as other details. Most crowdfunding sites operate around the world, though their base can be in USA, Europe or Asia. Before applying for crowdfunding through these international platforms, it is advisable to check rules regarding foreign investments in your country of residence. I looking for business partner to fund a sea fish cage farming project in Tanzania. hi iam alexvijayakumar from india iam a karate master teaching selfdefence for many childrens and this is my proffessional job i dont do any work ,only teaching . Im in a huge debt trap of five lakhs Indian Rupee. Can anyone help me by fjnding. I can return it by instalments with a normal interest rate. Can, this is beneficial for start-up Busi ness…I hv a little doubt…. hello sir i want to start abusiness of a big whole sale but i did not have enough money ,would you help me! I am a nigerian and a degree holder in Agricultural Science,. I need a support to be able to render help to the children of poor background in my locality ,because they can’t afford a good education and a good meal per day out of my love for these children I had go for a postgraduate diploma in education, so as to be able to tutor them in my own little way but right I need a comfort place for them to disseminate this form of Education to them .And also to provide an egg per day for them so as to be able to get the nutrients needed for their growth and development. thank you . Thanks for the information. Please I have plan to establish garry plant in Nigeria, i.e cassava flakes plant. I will need at least 1 milion naira to start with. I will be very happy if you can help me. Thank you. the information is a good one. I have a plan of estabishing garri plant i.e cassava flakes plant, but the capital is major issue. If you help me, I will be very glad. Thank you. I’m Ramil from Philippines, I’m a missionary/Pastor, I need to raised funds to help our people and to start their livelihood. I need some partner of our ministry. Is there someone could help me to start something business to support for the sustainable livelihood for our people. This is not for my ouwn good but for the benifits of many people. Hi sir, this is Pavan from India of Andhra Pradesh state. I want to start a old age home for old people so that want to be helpful to old people with u r support. My number 9849736609. My body and soul is completely dedicated for helping people who are in problems. Human birth is only once in life, so wanted to make my birth for helping. I have studied your website.i am in India.retired engineer.like to start earning with Steam ironing at home.i need 1000 dollar to start.will I get any help from Crowd funding.pl reply. In Jamaica need money to start up business can you help? gd u r doing a gd job to inform us various field. Hi I am an innovator in Ghana, some of my work is using clay in addition to grass to produce a bio charcoal. No one have everdone it in ghana, and i needed a funding to start the business, and my aim is to stop the cutting down of useful trees for charcoal, and also radicat poverty in ghana particulally the northen part.i will be so greatful if this funding company will have been true. Sir I have learn beads and wire work but I don’t have the capital to start my own.I will be happy if I can get like #150,000 to get the materials and start my business. Thank you. Hi sir…. I’ve tried online partime but everything is scam. I got lots of debts and i really need sum large amount. I also want to build 1 business but i dont have and modal to start my business… Can you help me? Thanks for sharing. Keep it up.. Thanks for sharing a wonderful list of websites for funding ! I have to settle some personal loan which I had taken long back. Would return back in installments. It’s a great news to heard about this. But as we know that, we can’t believe the world of internet media. Every time I try to take or earn money on online process, each and every websites I check in is scam. So, it’s too hard to believe that, the recent websites would provide a money for a beginner businessmen. If it is real, why don’t you show us in real life? Or ia this really a scam? Hi, Sir! are you sure that your site gives money those who are want to start up there business, really I can’t believe it okay if this really happening then please help me to start up my business, and after all if this really happening its my good luck because I am not able to start up because of money problem and I promise that I will return the amount which will invested by you ….please guide me to get better track! Thankyou for the information you have provided. I am a trained teacher, but had a career as an executive producer with a company that made serials. I have retired about 10 years ago. I wish to launch an app called Shiksa in mobile phones. It will teach any subject, of any class 1 to 12, in all official Indian languages, through an audio-visual method. Please, can you advise me. I don’t have a website, I give tutions to a few children, and the appalling quality of education provided in some schools shocked me. That’s why I want to do this. A child can learn his subjects from his phone without requiring tutions. I feel it will do well. Please advise how do I organise funds. I will require about 25 thousand USD initially.